Goldie’s 1940’s Speakeasy Style Event – WEEKLY EVENT! 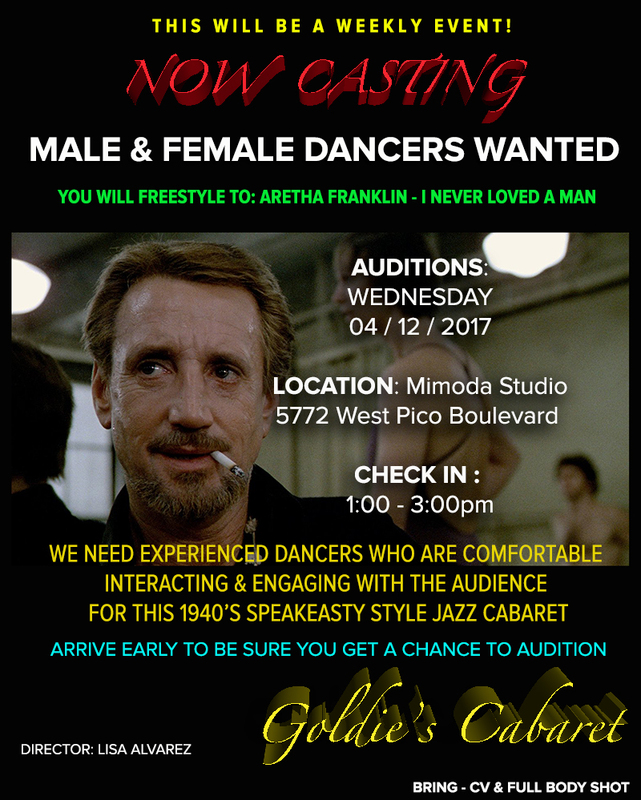 Male & Female Dancers will be freestyling to Aretha Franklin – I Never Loved a Man. Please wear body conscious attire – No super baggy clothing.